When I first became a mom I was absolutely clueless when it came to baby carriers. I received a stretchy wrap when I was pregnant and I figured I would learn how to use it when the time came. Despite being told it was the best newborn baby carrier, the amount of fabric it came with seemed intimidating. I remember trying to learn how to put it on and feeling flustered while my son was crying waiting for me to pick him up. My husband came in wondering what in the world was going on. I was sweating (lots of fabric + Florida summer + postpartum hormones), feeling overwhelmed, and our baby was freaking out. I took off the baby carrier, picked up my baby and decided to figure it out another day. That day eventually rolled around, this time with a friend showing me how to use it. I was so grateful! Once she showed me how to get my baby in the carrier everything felt much simpler. 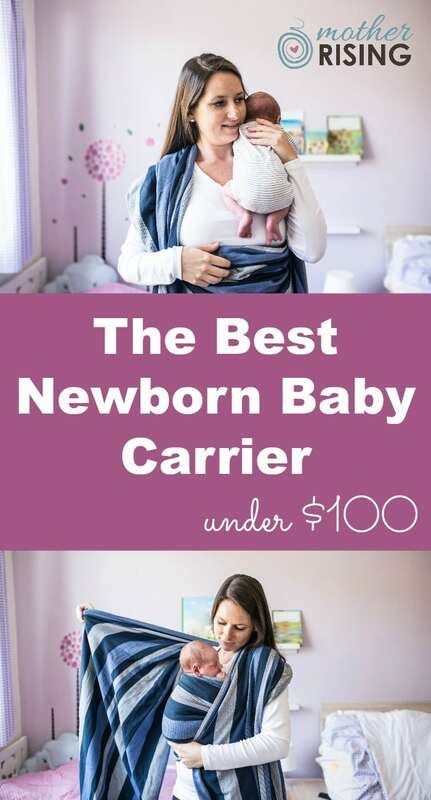 I hope this blog post is like a good friend coming along side of you sharing her experience and expertise with the best newborn baby carrier, which is definitely in the category of baby gear you NEED TO BUY. Let’s get started! For a good read about the many befits of baby wearing, head on over to Babywearing International. A common nomination for the best newborn baby carrier under $100 is the Maya Ring Sling. Maya makes a basic ring sling, and also a lightly padded ring sling with prices ranging from $35-$80. I own this one. The benefits of a ring sling are that they are quick and easy to get on and off and have less fabric compared with a wrap. I used this baby carrier for quick grocery shopping extravaganzas. Some parents find this carrier frustrating if it’s not threaded correctly. It’s helpful to have a friend show you how to do it. Here’s a good Ring Sling Tutorial, which is the next best thing to that good friend. Also, some parents find that their shoulder and neck becomes sore quickly, as the weight of baby isn’t distributed equally. However, newborns are little and sometimes this isn’t a big deal. My favorite newborn baby carrier under $100 is a stretchy wrap. I own this one. Boba makes an excellent wrap ranging from $40-$60. I found it to be a tiny bit more stretchy than the Moby wrap, which I liked. Moby (nothing to do with the artist Moby, apparently) also makes an excellent wrap, and slightly less expensive than the Boba at $35-$50. I’ve never used a Solly Baby Wrap, but I’ve touched one and man, it’s wonderful. It’s so soft and the fabric prints are perfect. If I ever had another baby (that ship has sailed, ya’ll) I’d get one of these. Solly Baby Wrap’s prices range from $65-$80. The Baby K’tan is one newborn baby carrier I could not figure out! I’m sure it’s a great product for some parents, but the learning curve was a bit too much for me (which is ironic because I think it’s basically a stretchy wrap for dummies). Also, since these are sized, after a lot of use they could potentially stretch out and not fit as well as they did initially. The Baby K’tan’s prices range from $40-$60. TIP: You could always make your own stretchy wrap. With a little bit of cutting and sewing, it’s not that difficult! Admittedly, I’ve never used a woven wrap, despite them being all the rage. The main reason is because they are very expensive (and I already had a bunch of baby carriers!). However, they’re beautiful, well-made, quality, infant baby carriers. From my research, you can’t find a quality woven wrap under $100 unless it’s on sale or second hand. Get creative! If you want one bad enough, you’ll make it happen. But guess what? When I went to Tula’s website, a popular, quality brand of infant baby carriers, I found some beautiful woven wraps on sale for $100. Get you one! After a little more digging I did find a brand called Dolcino, that had some of their woven wraps for under $100. The reviews are wonderful and parents say they’re a great first wrap. I found another woven wrap by Wrapsody that is less than $100, beautiful, but also a little bit more stretchy than the average woven wrap. Check them out! Although soft structured carriers are generally more expensive than $100, if you think outside of the box you can usually find what you’re looking for. For example, you can buy the old Boba 3G, which works for babies 7 pounds and up, for only $100. The newer Boba 4G is $140, cuter, and works a little bit better with infants but honestly, I think either will do just fine. Also, you can get the Original Ergo Baby carrier which comes with the infant insert for only $110, which is a great deal. However, I will say that I’m not the biggest fan of these soft carriers with an infant. They feel big, bulky, and if you live in a warm climate like me, are HOT, which is tricky when dealing with postpartum hormones. Many parents decide to get a soft structured carrier for a newborn thinking it will grow with baby on into the toddler years, which is the same thinking behind convertible carseats and cribs that transform into bigger beds. Sometimes, however, it’s just easier to buy the thing that makes life easier for one stage and then get the other thing for when your child gets bigger. Soft structured carriers for infants are not the easiest thing. Just my two cents. 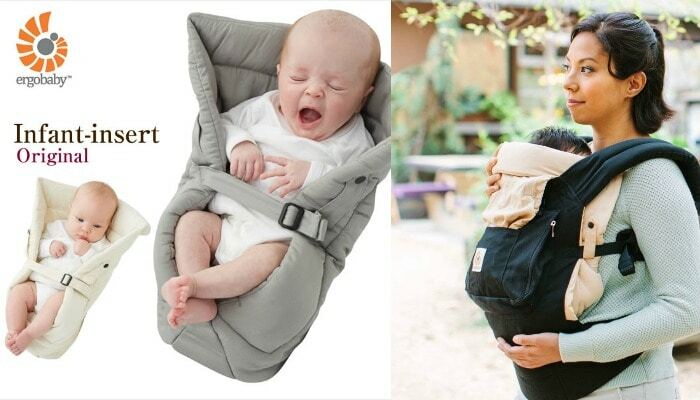 However, in my opinion skip the soft structured carrier for the newborn stage and use it when baby is bigger. Leave a comment and let me know what baby carrier worked best for you. Did you use a soft carrier? Did then infant insert work for you? 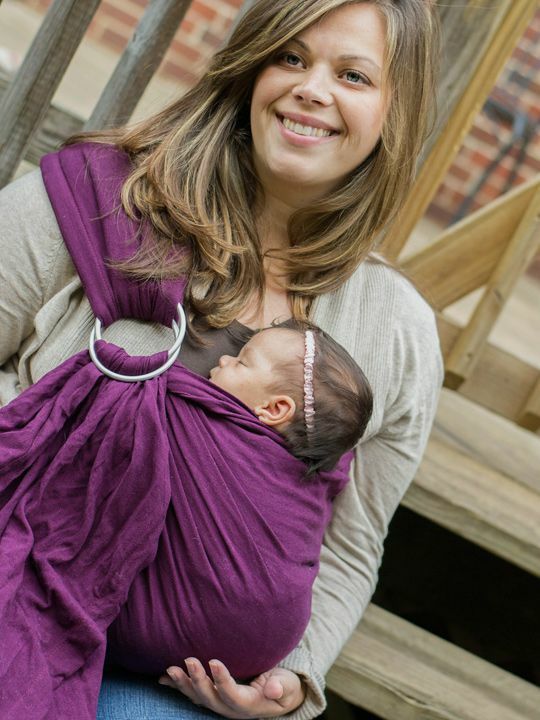 Are you a mommy ninja and able to back carry with a woven wrap? Leave a comment, as I’d love to hear from you!